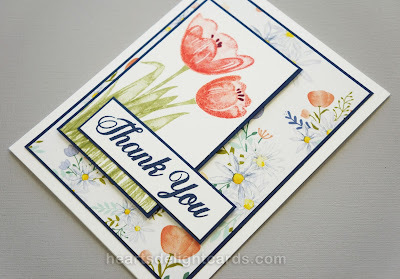 I borrowed the color scheme from the Delightful Daisy DSP for the Tranquil Tulips this time. 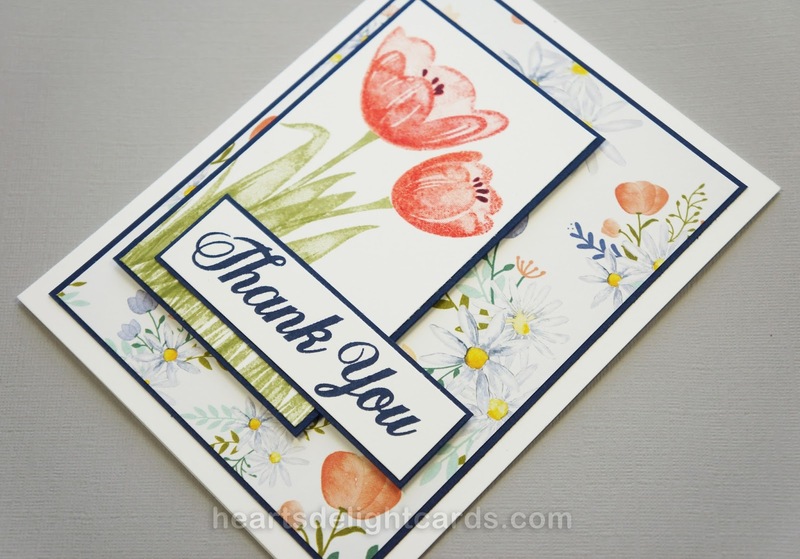 Since I had the stamp set out and the DSP right in front of me, it was easy to create another pretty Thank You card! 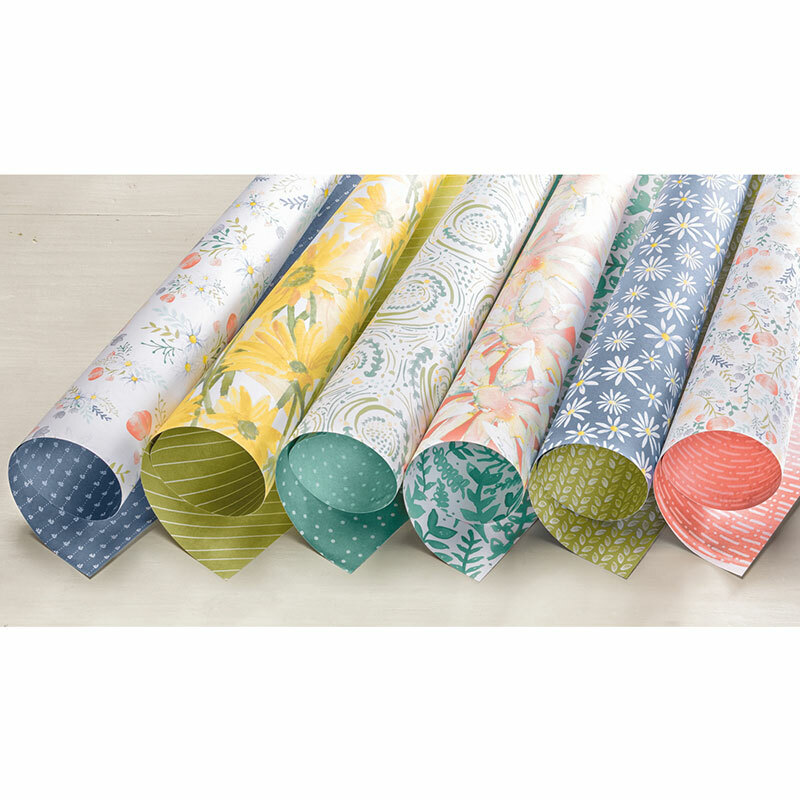 The colors listed on the package are Calypso Coral, Daffodil Delight, Night of Navy, Old Olive, Pool Party, and Tranquil Tide. 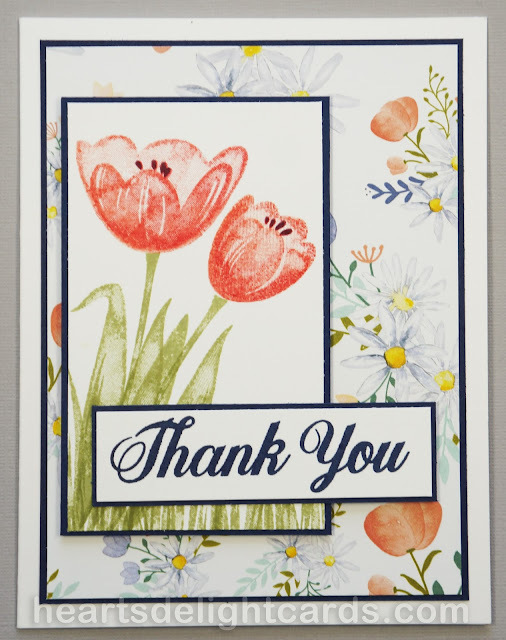 As you can see from the background, the colors are muted, so I stamped off the Calypso Coral tulips once to lighten the color. The Night of Navy mats really make the elements stand out, don't they?